Multiple test methods are being used to assess the mechanical/structural properties of nanotube-based composite materials. These tests include tensile, shear, and fracture testing on coupon and panel specimens. Experimental methods are used to assess the anisotropic thermal and electrical properties of nanotube composites. Computational modeling methods are used and to understand the influence of material microstructure on these properties. 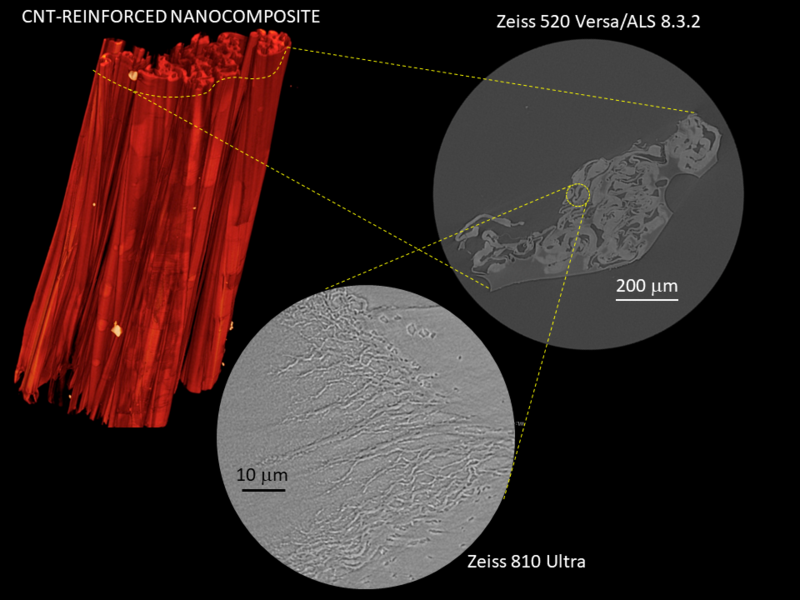 New characterization methods are being developed to understand the mechanical behavior of nanotube-based composites at small length scales. Methods include in-situ observation of constituent-level failure mechanisms using high-resolution X-ray computed tomography.